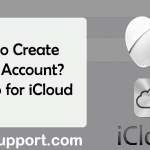 You are here: Home / iCloud / How to Create Apple ID Using iPhone, Mac, and iTunes? 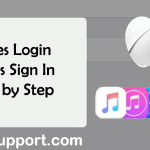 How to Create Apple ID Using iPhone, Mac, and iTunes? You need to create Apple Id to use different Apple products like iPhone, iTunes, iCloud, iMessage, etc. An Apple Id is an email id and password which you use to access Apple products and services. It also includes your contact, payment and security details across Apple services. You can sign up for Apple Id when setting up a new device or log in to iTunes or iCloud for the first time. Additionally, you can make an Apple id by visiting the Apple ID site. Three security question answers and a recovery email address. Visit appleid.apple.com from Safari/Chrome/Firefox or any browser of your choice. Click on ‘Create Your Apple ID’. Enter the email account you want as Apple ID. It can be Gmail, Hotmail, Yahoo, AOL or any email address you are using. Create a new password. It must be more than eight characters long and should contain at least one uppercase, lowercase, and a number. Enter your personal identification information like first and last name and birthday. Select the security question and answer. Make sure you will remember these answers in future. You’ll receive security code in your email account. Enter the security code and click ‘Verify’. If you didn’t receive the code, click ‘Send a new code’. Sometimes verification email arrives in the Junk/Spam folder so if it’s not in the inbox, don’t forget to check other folders. Congratulations, you’ve successfully created Apple ID. Now you can use iCloud, iTunes, iMessage, App store with this new Apple account. Scroll down and tap ‘iCloud’. Tap on ‘Create a new Apple ID’. We advise you to enter your actual date of birth. It is useful while resetting Apple password. Tap ‘Next’ in the top right corner after selecting a date. Type your First and Last name and tap ‘Next’ again. You can either use your existing email address or get a free iCloud email address. If you select to use current email, continue to below process, otherwise visit iCloud account sign up. Type your email address, (Gmail, Hotmail, Outlook, Yahoo or any email works). This email address will be your new Apple ID. Enter the password you want for Apple account. Don’t use the same password for multiple accounts. Apple password must be eight characters long and should include a number, an uppercase, and a lowercase letter. In the next step, you have to choose three security questions and answers to them. Don’t choose the answer that is too obvious to other. Security answers should be easy for you to remember but hard for others to predict. Read ‘Terms and Conditions’ and tap ‘Agree’. A pop-up will appear, tap ‘Agree’ again. You need to verify your email account. Go to the inbox of an email which you used as apple account. You’ll receive a verification email from Apple. Tap on ‘Verify Now’. You will reach into Apple ID site, enter your Apple password which you’ve created previously and log in. Your email address is now verified. Click on ‘Account’ on the menu and then ‘Sign in’. Select the option ‘Create New Apple ID’. Fill up the sign-up form and click ‘Continue’. Enter your credit card and billing information. Check your email account for the verification email and verify it. 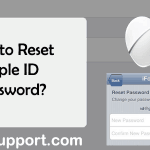 How to Reset Apple ID Password? 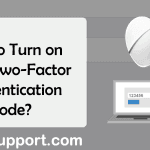 How to Turn on Apple Two-Factor Authentication Code? 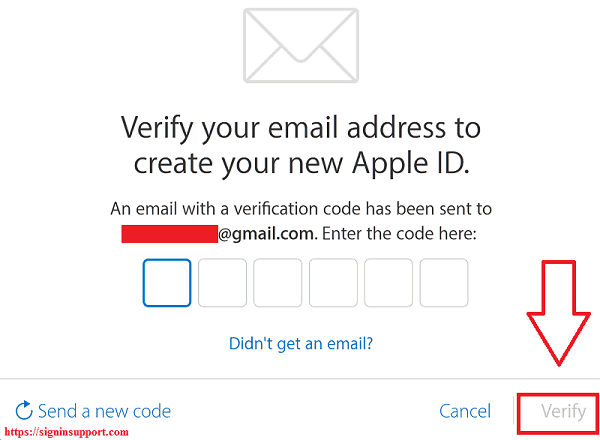 With any valid email address you can create Apple account. Visit appleid.apple.com and complete Apple account registration form. Thanks for finally talking about >How to Create Apple ID? Sign Up an Apple Id.